Or, consider it what it is: A short podcast episode Jeff and I recorded two and a half weeks ago that never got edited because I went to Pro-Walk Pro-Bike and he went to Rail~Volution and we recorded (and actually posted) a podcast in between and basically, life got in the way. You’ll have to listen to the podcast to hear the rest. It’s a short one; you can listen to the whole thing while you fold the laundry. And there’s something extra-adorable in there as a special prize for putting up with our tardiness. Jeff will be back soon from Rail~volution and then we’ll get to hear all about that, and then we’ll be back to normal podcasts on, we hope, a more normal schedule. You’ll be the first to know when that happens if you subscribe to Talking Headways on our RSS feed, Stitcher or iTunes. Cool. 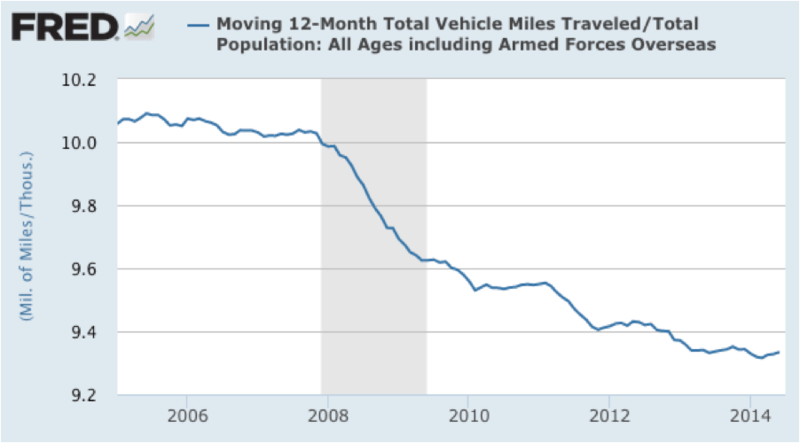 The vmt per capita graph is even more interesting when you show it over a longer period. 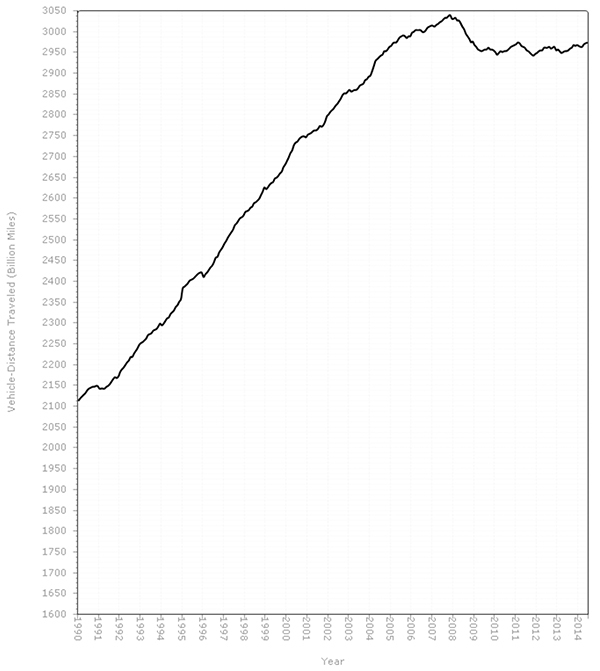 Basically, the amount of driving per person peaked in 2005 and has been declining steadily ever since. It’s now at it lowest point since 1994. It also reflects the number of job losses and mortgage defaults in suburbs.